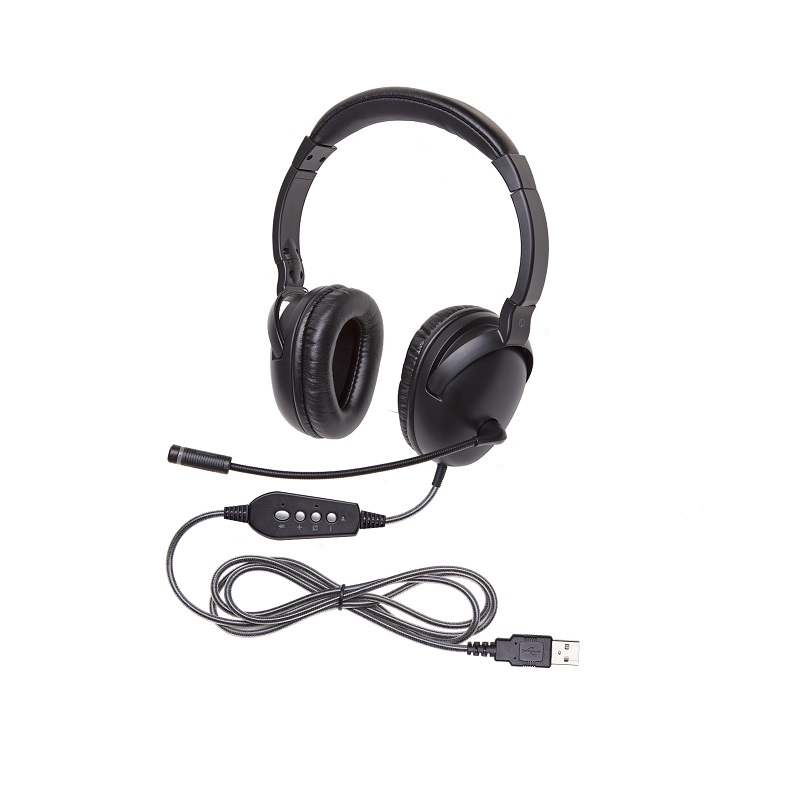 The 1017 NeoTech™ are a versatile, workhorse headset for general-purpose classroom usage with mobile devices. They deliver performance at a cost-effective price for 1:1 learning, assessment testing and more. Its audio playback is calibrated to enhance the tonal range of the human voice in language learning and its unidirectional inline microphone captures a student’s verbal response - not their neighbors - making it ideal for language learning, library uses and in computer labs. Compatible with tablets, smartphones, Chromebooks, laptop and desktop PCs & Macs, it provides the versatility you need for BOYD and school-issued device requirements in the classroom. Durable CaliTuff™ Cord: A highly durable CaliTuff™ cord made of braided, PVC-jacketed material that resists chewing and cutting. The CaliTuff™ cord design includes a reinforced earcup entry point that resists stress separation. Hygienic Packaging: A heavy gauge plastic zip lock bag with personalized labeling area that promotes classroom hygiene by isolating head lice while providing utility for storage when not in use.